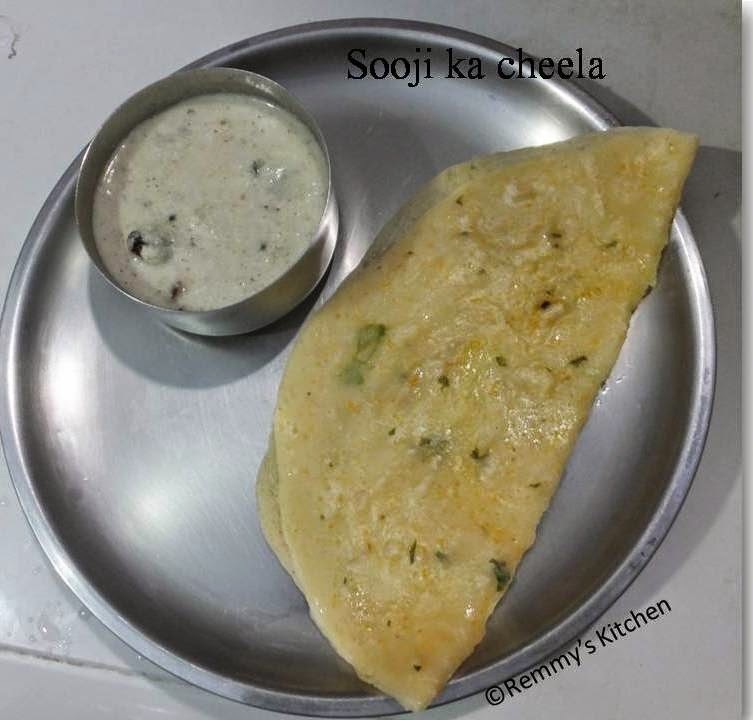 My friend Savitha mailed this recipe for me.I prepared it on last sunday and the result was so good.It is a north indian recipe but almost similar to South indian utthappam.So I love to call it as rawa uthappam :)Sooji ka cheela and coconut chutney are one of the best and healthy breakfast combinations. Now grind it in to a smooth batter. The consisitency should be just like normal dosa. Add chopped green chillies and coriander leaves. Add turmeric powder and mix it well. Keep the batter aside for 1 to 2 hours. Heat a non stick pan and pour the ladle of batter in to it. Spread the batter in a circular motion just like what we are doing for normal dosa. Now flip over the other side and cook it well. 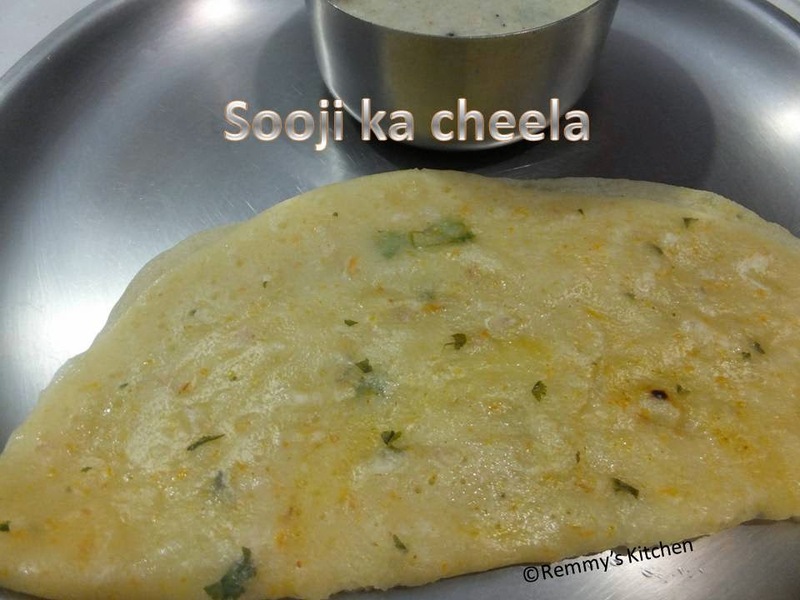 You can avoid grinding of veggies with semolina/rawa.Add grated veggies to the batter,mix it well and make dosa. Add curd according to your taste. 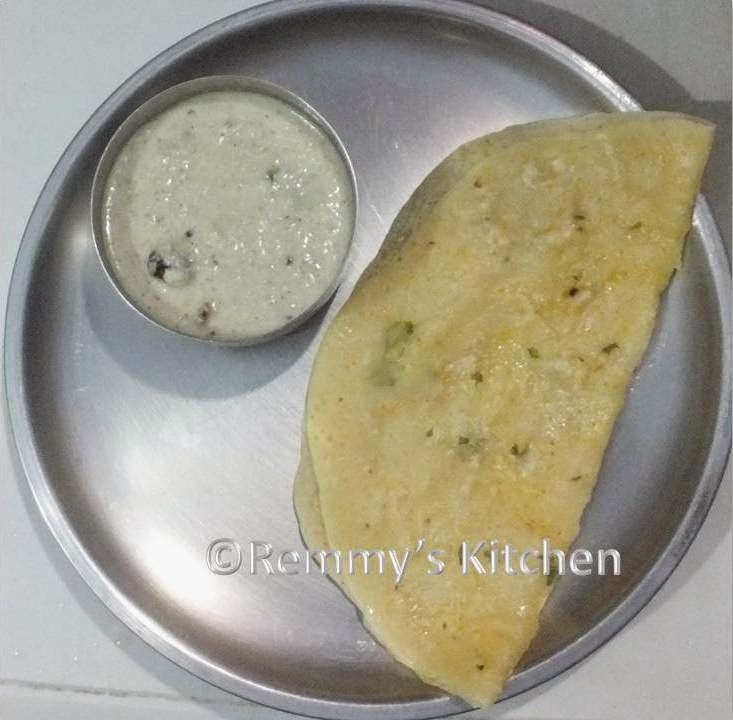 This uttapam will be a good try for someone like who find it interesting and uplifted with tempting flavors. Soft and healthy ...... Love it! !